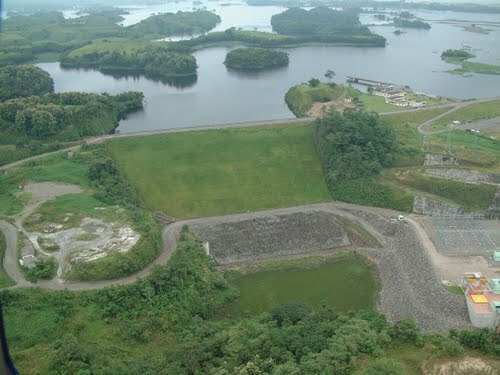 The Daule Peripa dam was one of the main components of the Jaime Rolds Aguilera multi-purpose project, the largest and most complex infrastructure project built in Ecuador in the last forty years. It was located on the Daule river, a sub-basin of the Guayas river basin in the Ecuadorian Coast. It started functioning in 1988 and caused huge environmental and social impacts both upstream and downstream. The reservoir flooded one of the country's most fertile areas, which used to be almost entirely devoted to agricultural production for local markets. As a consequence of that, many communities were displaced and some 50,000 were isolated inside dozens of water fringes of the reservoir. These latter communities still live there in conditions of extreme poverty. They started a process of organization in 2004 to demand from the Ecuadorian government redress for the damages suffered. Project Details Installed capacity of 213 MW yet generates an average of only 80 MW. The dam is 90 meters high and has a water capacity of 6 billion cubic meters. The artificial basin created by the dam inundated a surface of almost 30,000 hectares of land. The case was reviewed in the Public Debt Audit commission set up by President Correa in 2008. Why? Explain briefly. Despite large environmental and social impacts, the government has not acknowledged them. The project was planned and approved without meaningful public input and local consent and still now these people are totally abandoned. Corral, Luis. 2006. Sembrando Desiertos. La Deuda Social y Ecolgica generada por el endeudamiento externo en el Projecto de Propsito Mltiple Jaime Roldos Aguilera, Quito, Ecuador. Gerebizza, Elena. 2009. El proyecto Daule Peripa. Las responsabilidades italianas en la deuda ilegtima de Ecuador. Campagna per la Riforma della Banca Mondiale. Chum Kuffo, Alfredo y Germn Jcome. 2006. La lucha por el agua de las comunidades ribereas de la cuenca del ro Guayas. FIAN Informe R 2.